The Flash Memory Summit Awards represent a great opportunity for industry recognition of your company's products and solutions. These industry recognized awards give winners the opportunity to effectively build their brand and image as an innovative leader in the marketplace. Don't miss this chance to have your company's solutions in the public spotlight! 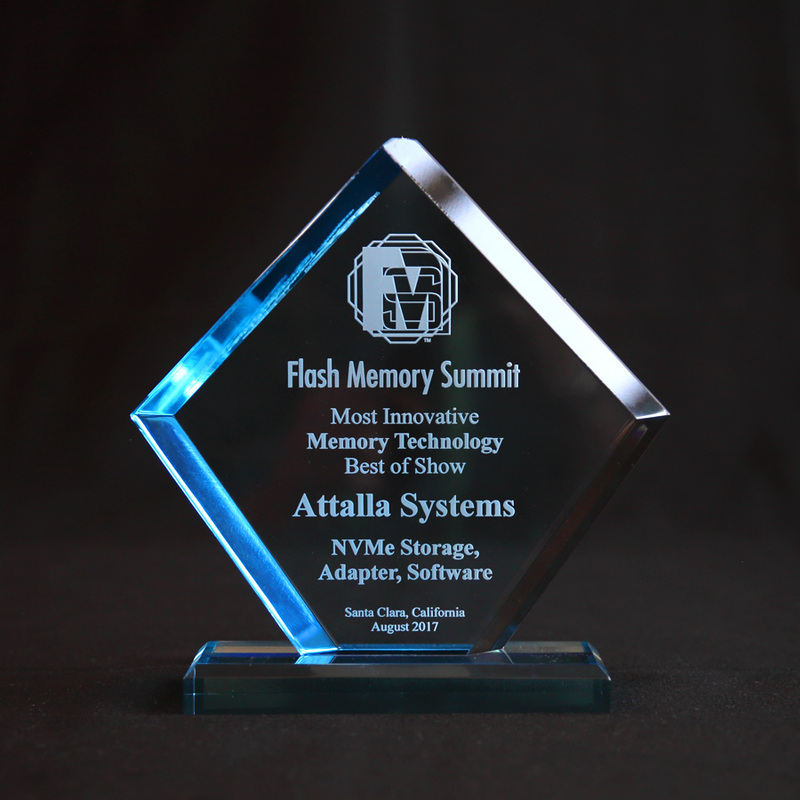 There are five distinct awards to address the wide range of flash memory innovation in the marketplace. The award nomination needs to be representing something that is new this year. The first innovation award is for the most creative and ambitious startup company blazing a trail of innovation in the storage industry. The second two innovation awards are for an application solution that is either addressing the consumer or the business marketplace. The fourth award category is designed to recognize patented IP and technology from a company or a new industry standard that is bringing innovation to the marketplace. The fifth award is a customer implementation with a case study showing innovative creativity on how flash is being used by a specific end customer. If you are applying for more than one award, please complete separate entries for each. Our emphasis is on innovation and industry leadership. To determine the best category for your product, please consult the descriptions below. This Flash Memory award category recognizes the most creative and ambitious startup companies blazing a trail of innovation in the storage industry. Is your company an emerging company who will change the marketplace for storage? This award applauds businesses on the entrepreneurial journey from inspiration and learning all the way through to startup, scale up and becoming a market disruptor and champion of the storage industry. This Flash Memory Application award category recognizes innovation in how a product or service is being used to solve specific consumer problems. So an exciting new consumer use for your product is really what this category is all about. Examples of consumer applications could include smartphones, music/video players, digital cameras, gaming systems, navigational systems, tablets, netbooks, ultrabooks, mobile computing solutions and other consumer hardware and software products. This Flash Memory Application award category recognizes how a product or service is being used to solve a specific business problem. So an exciting new business use for your product is really what this category is all about. Examples of applications could include commercial applications that apply to all business environments or vertical market applications addressing specific market segments such as video/broadcast, automotive, imaging, military, healthcare, financial and others. Application solutions can address a wide range of business requirements for the traditional data center, desktop and server virtualization environments, public / private / hybrid cloud computing and other IT environments. The Flash Memory Technology category awards innovations that will change the way flash memory works and is used in products. The recipients of this award will enjoy significant differentiation of their intellectual property and patents from competing technologies in the flash memory industry. Examples of such technological innovations could include flash used in NAS/SAN, converged/hyperconverged and technology resulting in record breaking performance, new levels of high availability, ground breaking industry standards, green energy efficiencies, advanced memory management, game changing capacity optimization or other innovative features and capabilities. The Flash Memory Customer Implementation category awards innovation in the implementation of flash memory in a real customer application. This innovative application can be represented by a case study that highlights how a specific customer has solved an important problem by use of a specific product or service. Examples of such flash memory customer implementations could include compelling ROI, Quality of Service, Business Continuity, Security, Data Protection, Virtualization, Cloud, Software Defined Storage, Simplicity of Operations, People Productivity and other benefits that made a difference for the customer. An end user customer case study is required to apply for this award. In order to ensure that submitting companies fully participate in the award process there is a $1000 entry fee to submit an application. The competition entry fee is waived for all sponsors and exhibitors of the Flash Memory Summit. Non-sponsor and non-exhibitor applicants will be invoiced directly after their nominations are received. Entries are due by 6 pm Pacific Daylight Time on Friday, July 12, 2019. No exceptions will be given. The competition is open to all Flash Memory Summit participants and attendees and will be judged by a panel of experts (whose decision is final). 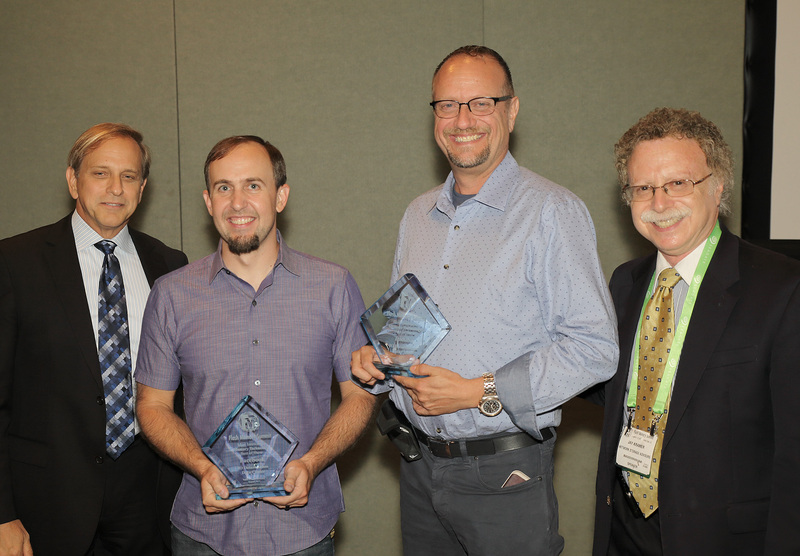 Winners will be announced and prizes awarded at the Flash Memory Summit on Wednesday, August 07, 2019 during the evening reception in the Exhibit Hall. Winners must be present at the event in order to receive their award. Please use our ONLINE FORM to submit your proposal. If you are applying for more than one award, please complete separate entries for each. Please also send a zip file of any supporting documentation you desire for the awards committee to use in reviewing your nomination. Supporting documentation can include (Data sheet, brochure, PowerPoint presentation, product review, etc.). Please make sure to fill out the online form completely including attached supporting documentation. After completing the online form, click on the "Here is my Entry" button. If you have successfully completed the online form, you will be transported to a page confirming your submission. You will also receive an email confirming your submission. If you do not receive a confirmation or you have any questions regarding the online submission form process, please contact our webmaster.